Here's three ways of saving money you can impletent today! Before I started buying things on eBay, I used to think of it as a place where people traded their old underwear and sold old computer games to like-minded geeks. You know, world’s largest garage sale online with a complicated bidding process to boot. But after scrolling through millions of items listed, I’ve discovered that eBay became a huge market of new household items available at fixed price. Sure, there are some weird items like MiG-21 fighter jet and city of Bridgeville, California (pop. 25). But it’s also filled with items you can buy online with considerable savings as opposed to buying them locally at a big box store. Since then, searching eBay became a part of my routine before buying anything. New bike light? Check eBay. New knives? Check eBay. Laptop battery? Check eBay! 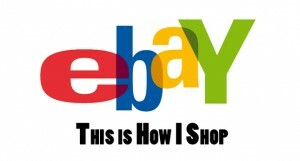 With some exceptions, most items can be bought on eBay with considerable savings without compromising the quality. The only downside is waiting few days before the item arrives in the mail. Here’s an example. Recently, my iPhone charger decided to end its miserable life by tangling itself. It survived, but exposed wires were a clear sign of an upcoming trip to electronics farm were all electronics go when they get old. So, I’ve decided to stop by a local electronics store to buy a new one. A well-mannered sales clerk informed me cheerfully I’ll have to spend $50 on a genuine Apple charging cable. Instead, I’ve pointed somewhere behind him shouting “- Watch out for the T-Rex!” and promptly left the store while he wasn’t looking. When I got home, quick eBay search revealed that I can buy iPhone charges for less than $1. These charges will do the exact same job as $50 charger bought locally, but the end result would be more money in my pocket. Thank you eBay for saving me yet another pile of money so I can put away more money towards our future while still being able to charge my phone. Savings? I’m usually able to save at least 50% off the item. Downside? I have to wait a few days until the items are dropped off by Doug, my favorite Canada Post employee. I don’t know what car parts cartels control car parts industry in Canada but they’re clearly doing a great job. Car parts are extremely expensive in my neck of the woods. How can anybody be saving money with these prices?! Our car is a gazillion years old, and once in a while it requires a part or two. After paying a couple of hefty bills for repairs, I got curious to see what goes into it. Good portion of it were parts my mechanic would order from local parts store. So I thought – what if I buy parts myself and bring them to my mechanic to install thus saving money? And it worked beautifully! Now before any work is done on my car, I ask my mechanic to provide a list of parts needed. Once I get an email with parts’ numbers, I head to http://www.rockauto.com and order the parts from them. After receiving them in the mail, I simply bring all the parts needed for my appointment. Savings? I’ve never saved less than 50% off my parts even if you calculate shipping fees into equation. Sometimes it can be as high as 70-80%. In some cases, instead of simply saving money, I choose to buy higher quality parts than available at the local parts store, and still come out ahead of the game. Take that, Canadian car parts cartels! Warning: Not all shops allow you to bring outside parts. Just like movie theaters prohibiting outside drinks so they can charge people $7 for a bottle of water, some mechanics will cringe when you ask them if you can supply your own parts. After all, they do make a bit of money off parts when working on your vehicle. Dealerships will flat out refuse this since this is where they make most of their money next to financing. My mechanic on the other hand doesn’t mind this practice at all. Since he is my go-to guy for anything mechanical (simply because I can’t tell the difference between screwdriver and a wrench), he’s been working on my vehicle for years and years. He’s happy to charge me labor when working on my vehicle, and I’m happy to save serious coin on parts when it’s needed. I refuse to pay bank fees or service charges. Also, the pittance most banks are paying as interest is just appalling. That’s why I only use banks that provide a great service, offer a competitive interest rate, and are completely free. Currently, there are two banks that fit my criteria – President Choice Financial and Tangerine Bank. See my post on which one I think is better (although I still use both). 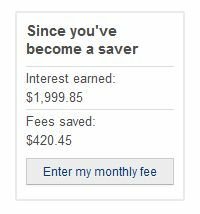 In just few years, we are $2,500 richer just by switching our bank account. And twenty five hundred bucks is no small potatoes. If this seems like chump change not worth a few keystrokes to you – hey, good for you. But to me, it’s a serious amount especially if you think of the future value of it after investing it for a few years. Bonus: Currently Tangerine offers free money just for opening an account. You can make easy $50 by opening a savings account and $120 for opening a checking account and depositing your work paycheck. Check this post for details on how to score free cash! ← Automating finances – How and Why!? I love the tip about ordering car parts online. I’ll have to see which garages around here would accept that mode of operation. Thanks for the idea. Check it out. The worst they can say is no, am I right? Most smaller mechanics will do it, especially if you have a bit of a relationship with them meaning you’ve been coming to them for a long time. The amount of money they make off parts is not a whole lot (except for dealerships). My mechanic even helps me pick parts when I’m ordering them online showing me if it’s worth going for more expensive ones or not. The difference between ordering them online and buying them locally through Lordco or Napa is just mind boggling. And trust me, I crunched the numbers to include even gas I spend to go pick them up, brokerage fees and so on.